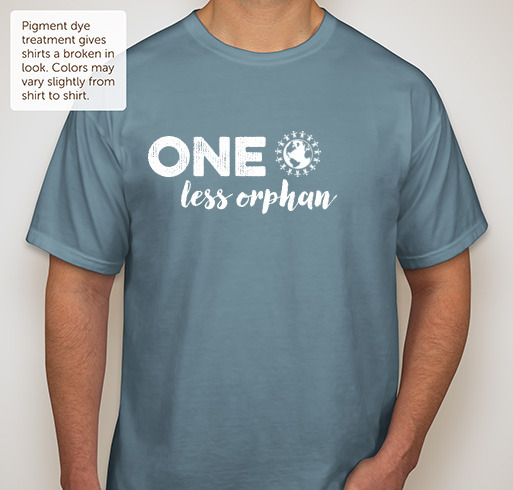 If you would still like to purchase this t-shirt, please contact us today! Through our work and travel to the DRC, Children of All Nations has seen firsthand the immediate needs for clean drinking water at orphanages, schools, and many surrounding communities. In an effort to improve the health of vulnerable children, we have set out to provide clean water filters to reduce the risk of waterborne illness. OBJECTIVE: To purchase filters for our partner orphanages, schools and their communities in Kinshasa, DRC. Our goal of $2000 will allow us to send filters to our partner orphanages, schools and their communities. These filters will remove bacteria and parasites from the water, such as cholera, botulism, typhoid, amoebic dysentery, e.coli, coliform bacteria, streptococcus, salmonella, giardia, cryptosporidium, and clyclospora. The filters remove 99.99999% of diseases in the water. Better yet, they are portable, and can serve up to 100 people per day for several years. With your help, CAN will help save thousands of lives of those directly affected by a lack of clean drinking water. Consider a one-time donation of $10 or $20 or $50 to contribute to this life-saving sanitation project that will serve these children and their communities for years to come. 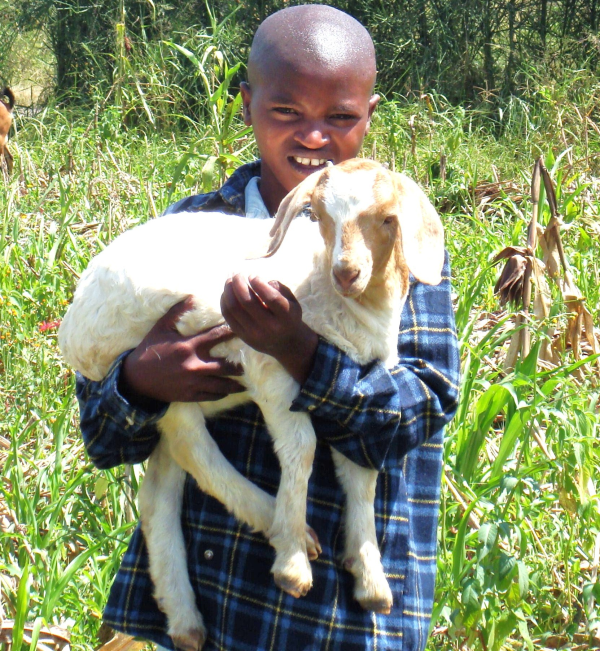 Children of All Nations would like to help 4 Burundi orphanages purchase goats and set up a small garden with the to improve the health and nutrition of the children, and provide a sustainable source of income for the orphanage in the future. Funds will go toward the construction of the garden, the seeds and small vegetables to be planted, and a minimum of 4 goats for each orphanage. OBJECTIVE: To build a garden and buy goats for 4 orphanages in Burundi, improving the nutrition of over 300 orphans and increasing sustainable income for each orphanage. Children are in need of vegetables and protein to supplement their diet. While the orphanage can afford to feed the children rice, cassava or fufu, these alone do not contain adequate nutrition for a growing child. A garden will provide a more balanced vegetable diet for the children and protect them from malnourishment. The goats will provide milk which is a great source of protein to the children’s diet. Eventually once the goats reproduce, they can be used as meat to increase the children’s protein intake. Simultaneously, the effort will cut down on food costs for orphanages allowing them to use more funds toward education and medical care. As the garden grows larger and the goats reproduce, there will be enough vegetables and milk produced to sell in the community and earn sustainable income for the orphanage. This additional income will help orphanages to provide better care for the children. 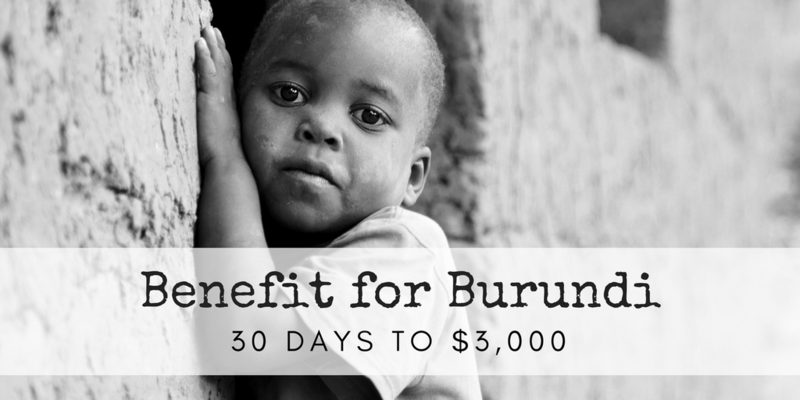 Interested in helping us support the orphanages in Burundi and their surrounding community? Consider a one-time donation of $10 or $20 or $50 to contribute to a sustainable project that will serve these children and their communities for years to come. Every contribution is meaningful, and we appreciate your support. 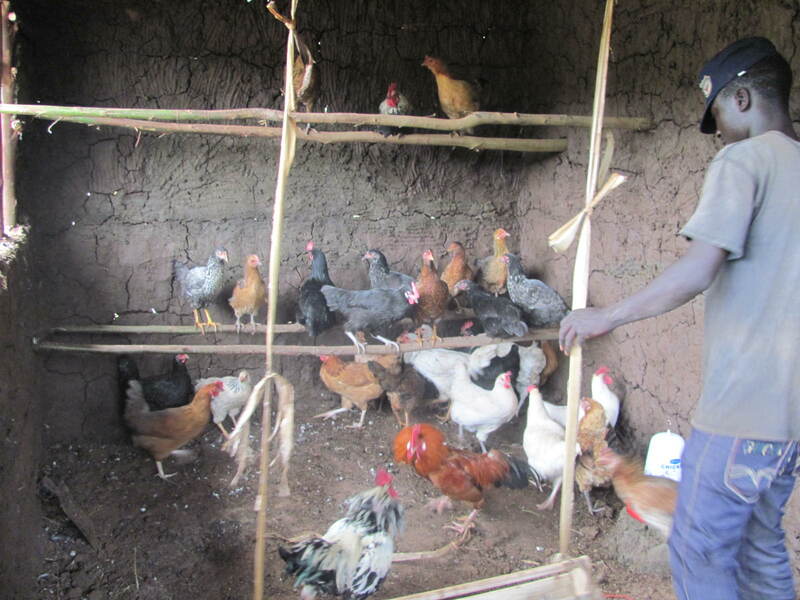 Children of All Nations is excited to announce that the Uganda Chicken Coop project is almost finished! Thanks to your donations, children in our partner orphanage are now receiving their daily protein via the eggs produced through this project! We have put up a chicken house that will accommodate over 200 chickens. We have so far bought 130 chickens. We also have drinkers and feeders. We bought a sack of maize for the chicken every week. They are not yet on free range system because the place is not yet suitable for free movement. This is to protect them from predators. Every day we have been getting 20-50 eggs. These eggs have helped improve the diet for the babies at the children’s home. We are excited to see how a modified diet will change our children’s life! We are have hired 2 people to keep the place and cater for the chickens. One person works at night and another person works during the day. Once the place is fenced off, we shall just employ one person full time. We still need to fence off the land, and once that is done, buy more chickens. Thanks again for your help in getting making this project a success! Your donations made it possible, and we appreciate YOU very much! At Children of All Nations, our desire is not only to aide in the plight of the orphan, but to foster long-term development in their communities of origin. In the coming months, we would like to invite you to help our partner orphanage set up a project aimed at improving the health of the children and community, as well as providing a sustainable source of income for the orphanage in the future. Our goal is to raise money to build a chicken coop and purchase 500 chickens. These chickens will produce enough eggs to supplement the children’s diet, support those in the community who are fighting off malnutrition, as well as sell for income for the orphanage. OBJECTIVE: To build a self-sustaining chicken coop for our partnership orphanage in Uganda. Our partner orphanage is a community based organization that has been in operation since 2010. The organization’s mission is, “sustainable community development through quality education” with the goal that “orphans, other vulnerable children, and adults will have higher living standards through quality education.” The target beneficiaries of their interventions are orphans and other vulnerable children (OVCs), community youth under 18-years and community adults above 18-years. The target areas of the orphanage’s interventions are in the Jinja and Kamuli districts within the Eastern region of Uganda. Their first community project is based in Kibuye village in Kamuli District. This village was selected due to its high levels of poverty, and number of orphaned and other vulnerable children (OVC). OVC’s such as those in Kibuye village are more disadvantaged than those in towns, as they are not reached by organizational services. The babies’ home started operating in 2010. They have looked after over 200 children since opening their doors. The babies’ home currently accommodates 46 children between ages 0-8 years. Most of the children arrive at the babies’ home when they are severely malnourished and desperate for care. They are mostly orphaned and abandoned children, though some of the children come from very poor families where they cannot afford the basic necessities needed to survive. Our partner orphanage provides support to these vulnerable children so they may have a chance at life. To supplement the children’s dietary needs, they need to include eggs in their diet. Everyday each child has to take an egg in order to have enough protein. The orphanage has been spending a lot of money on buying eggs for the children, but have realized that having their own chicken coop would cut down on the costs for buying the eggs. In addition, there will be enough eggs produced to sell and earn sustainable income for the babies’ home. 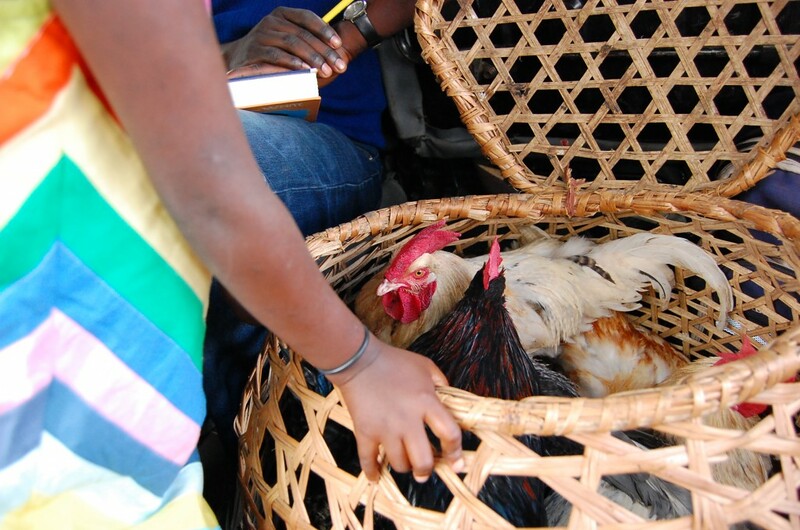 The income from the sale of the eggs will be used to run other activities of the organization. Furthermore, some of the eggs will also be sent to the village for the feeding program that supports those children and their families that the orphanage cannot bring into the home. Our partnership orphanage is also initiating a feeding program in Kibuye village where severely malnourished children will be put on special diet and monitored constantly. Some of the eggs that will be produced from the poultry project will be used in the feeding program. The majority of the population of Kibuye village is highly dependent on subsistence farming and barter trade within the village as there are few other options to improve one’s livelihood. In addition to the lack of livelihood opportunities, there is a lack of quality education for the OVC’s to access, as well as a higher risk of being affected by HIV and AIDS. In Uganda many people depend on farming and are farmers by trade. They produce a variety of fruits and vegetables, but the most popular produce from Kibuye are sweet potatoes, which they consume each day. There are high rates of malnutrition in Kibuye village as there are not many other sources of food. The eggs produced by this project can support this village and help alleviate malnutrition. Most of the children our partner orphanage serves are from this village.